Prototype: Type Zans four-axle, 95 cubic meter / 25,096 gallon tank car with an uninsulated tank and a ladder on the end. Privately owned car for Ermewa SA, registered in Germany. The car looks as it did around 2004. 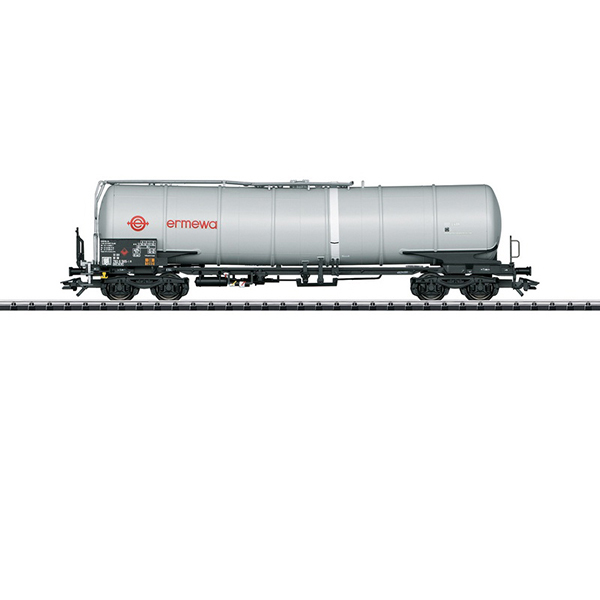 This model can be found with another car number in an AC version in the Märklin H0 assortment under item number 47540.